The FT801 is a capacitive touch display controller which brings together the functionality and system benefits of Embedded Video Engine (EVE) technology together with the increased brightness, interactivity and vividness associated with capacitive touchscreen technology in order to create sophisticated and dynamic Human Machine Interfaces (HMIs). This LCD controller is packaged in the same 48 pin QFN footprint as the FT800 and promotes architecture re-use for capacitive display needs, whilst providing the key elements seen in the FT800 including 3 in1 functionality (Display, Audio and Touch) and 1/16th pixel resolution, thus lowering BOM costs. 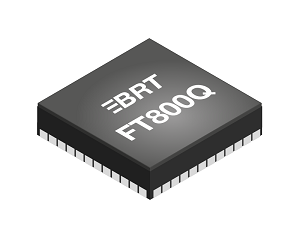 The FT801 can be easily interfaced to a capacitive touch controller via an I2C interface. The capacitive touch panel module (CTPM) asserts an interrupt when a touch is detected, signalling the FT801 to read the touch data via I2C. Additionally the FT801 supports a Compatibility touch mode, where existing FT800 application code can be run with single touch events detected, and Extended mode, which supports multi-touch sensing (up to 5 touchpoints) and gesturing. Object oriented architecture, enabling use of low cost MPU/MCU as system host, using I2C (clocking up to 3.4MHz) and SPI (up to 30MHz) interfaces. 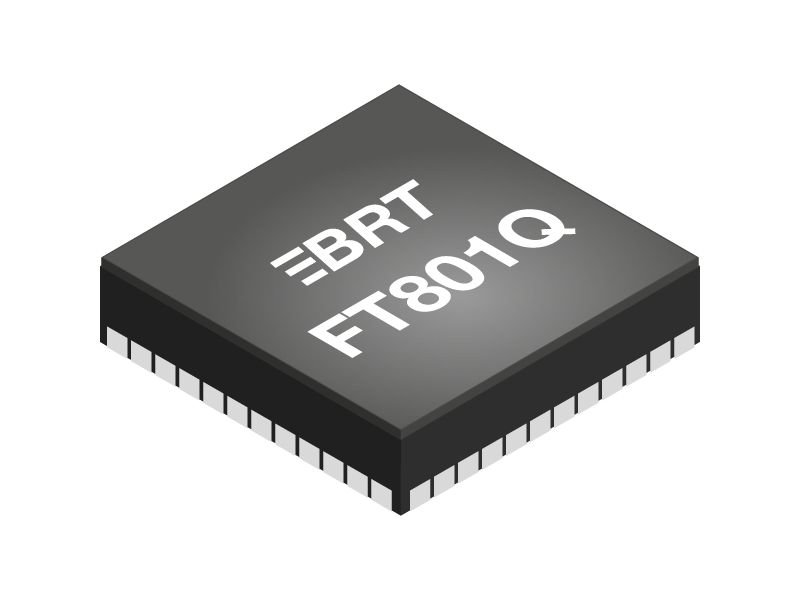 The FT800 is a restive touch controller IC which provides a powerful feature set in a small package to create dynamic Human Machine Interfaces (HMIs). The device supports line by line graphics rendering to 1/16 of a pixel on displays with resolution up to 512 x 512 with 262K colours. The chip includes a touch controller for sensing touch feedback from a TFT display with a resistive touch panel as well as a sound synthesizer and audio playback with a PWM output to drive a speaker.